2019 Cadillac Escalade Trim Levels with Comparisons & Configurations. What 2019 Cadillac Escalade Trim Level Should you Buy? What is the Difference Between Trims? Gone are the days where families with multiple kids had to resign themselves to driving a mini-van. More and more consumers are turning to large SUVs to get their family and their gear from place to place. Like with most things in life, there is a wide range when it comes to quality with these large SUVs. One of the most iconic vehicles in America is the Cadillac Escalade. Now in its fourth generation, which began back in 2015, the Escalade does not see many changes for 2019. Consumers will no longer be able to choose Midnight Sky Metallic or Dark Granite Metallic for their paint. Instead, Cadillac is now offering the Escalade in Manhattan Noir Metallic and Shadow Metallic. Other changes for 2019 include the addition of a standard hands-free tailgate. Drivers can simply wave their foot underneath the rear bumper to open the back of their vehicle. There is also a new Sports Package that will be available on the Luxury trim and up. It adds 22" 12-spoke alloy wheels with a Midnight Silver finish. This package also gives consumers a black grille, bodyside moldings, lower fascia trim, window trim molding, grille header, and lower grille surround. Drivers will enjoy the powerful V8 engine offered under the hood of the 2019 Escalade. 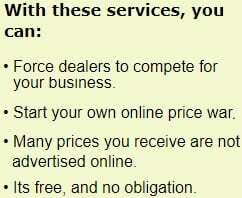 In 2019, there are four different versions of the vehicle to choose from. Each is well-equipped and available in both rear-wheel and 4-wheel drive models. Being a large SUV with a large engine, fuel efficiency is a little low but the Escalade puts up respectable numbers for its class. Rear-wheel-drive versions get 14 MPG in the city and 23 MPG on the highway, while 4-wheel drive versions get 14 MPG in the city and 21 MPG on the highway. As with years past, there will be both "regular" and ESV versions of the Escalade. Each trim has an ESV model, which is significantly bigger. In fact, the non-ESV Escalades have a cargo volume of 15.2 cu ft, compared to the ESV's 39.3 cu ft when the seats are up. If the seats are folded down, non-ESV's have 94.2 cu ft while the ESV has an impressive 120.9 cu ft. Due to the additional length of the ESV, it cannot tow as much. The ESV version rarely adds new features but does add a few grand to the price tag. This guide is designed to point out the differences consumers will find in between the different trim levels. It is intended to help consumers find the best version of the 2019 Cadillac Escalade for their needs. Compare the 2019 Cadillac Escalade Standard vs Luxury Trim Levels. What is the difference? The Standard trim, like all trims, is powered by a 6.2-liter V8 that can generate up to 420-horsepower and 460 lb-ft of torque. This is paired with a 10-speed automatic transmission. Like all versions, rear-wheel-drive is the standard with 4-wheel drive as an available option. The entry-level Standard trim also features Magnetic Ride Control with a Selectable Sport Mode. This feature keeps track of every wheel while driving, making split-second adjustments to improve handling in a variety of road conditions. On the outside of the Cadillac Escalade Standard, buyers will find full-LED headlamps and light-blade taillamps. This vehicle rides on 20" chrome-plated alloy wheels. Drivers will get convenient additions such as integrated assist steps and the new hands-free tailgate. Moving inside the Standard, consumers will notice many luxurious features. There is a remote start as well as tri-zone automatic climate control. This vehicle has 12-way power adjustable leather seats that are both heated and cooled. The steering wheel is also leather-wrapped and heated. Passengers in the second row do not miss out, as these seats are heated as well. The third-row seats are not heated but have a power-fold feature. Each version of the 2019 Escalade comes with the Cadillac User Experience complete with Navigation. It uses natural voice recognition and features an 8" screen. This system adds 4 USB ports, and auxiliary input for connecting devices, and Bluetooth. All versions of the Escalade are also 4G LTE Wi-Fi hotspot capable. Drivers will also find a 12" reconfigurable instrument cluster as well as a 16-speaker Bose Surround Sound stereo system. There is a standard wireless charging pad as well as a universal home remote that can be programmed to work with up to three devices, such as garage doors and security systems. Both Apple CarPlay and Android Auto capability are standard. As for safety features, this vehicle comes equipped with Front and Rear Park Assist. The Surround Vision feature also comes standard, which uses multiple cameras to give drivers a bird's eye view of their vehicle. Drivers also get a Tire Pressure Monitoring System as well as the Teen Driver System. The Escalade offers drivers impressive towing capabilities at every trim level. Each version of this vehicle has a trailering hitch platform. An Escalade with rear-wheel-drive can tow up to 8,300 pounds, while a 4-wheel drive can tow up to 8,100. Available on the Standard trim is the Radiant Package. This adds satin-chrome exhaust tips, 22" Radiant Package Wheels, and a specialized Radiant grille. Both the Luxury and Premium Luxury trims can add this package as well, but it is unavailable on the Platinum. Moving up to the Luxury trim will give consumers 22" 7-spoke alloy wheels featuring chrome inserts and a pearl nickel finish. From this trim up, there is a long list of available wheels for consumers to choose from. They will also find IntelliBeam headlights that turn on and off automatically. Rounding out the differences to the exterior is a power sunroof. Inside the Luxury trim, drivers will find the Rear Camera Mirror. Rather than a traditional rearview mirror, the camera mirror shows the driver a video stream that gives them a bigger, better view of what is behind their vehicle. This trim also adds the Theft Deterrent Package, which gives consumers features such as an interior movement sensor, self-powered horn, and door lock shields. The biggest difference between these two trims has to do with the standard safety features. 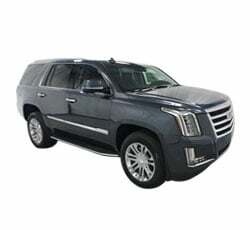 Luxury trim versions of the Escalade gain Forward Collision Alert, Lane Change Alert with Side Blind Zone Alert, Lane Keep Assist with Lane Departure Warning, Rear Cross Traffic Alert, and Low-Speed Forward Automatic Braking. There is also a Safety Seat Alert, which causes the seat to vibrate if it senses a threat of a collision. Compare the 2019 Escalade Luxury vs Premium Luxury Trims. What is the difference? Next up in the Escalade trim list is the Premium Luxury. When it comes to mechanical features, this trim adds 17" disc VAC power brakes. It also adds an Electronic Parking Brake. There are few exterior changes between these two trims. The Premium Luxury does add illuminated door handles and front cornering lamps. Other features that become standard on this trim include Automatic Seatbelt Tightening, Forward and Reverse Automatic Braking, and Adaptive Cruise Control. It is the first trim where power-retractable assist steps are an option. Perhaps the most attractive feature this trim offers to families is the rear seat entertainment system with Blu-Ray/DVD player. It features 9" inch screens, a remote, and two sets of wireless headphones. Consumers who go with the ESV version of the Escalade Premium Luxury will get 4 sets of wireless headphones as well as a third row 9" fold-down screen. Compare the Escalade Premium Luxury vs Platinum Trim Levels. What is the difference? This top-of-the-line trim sits on 22" dual 9-spoke alloy wheels featuring chrome inserts and an ultra silver metallic finish. It adds power-retractable assist steps with LED ground illumination as a standard feature. This trim stands out compared to the others thanks to its exclusive Platinum grille. Inside, drivers get a cooled front center console including covered storage. Another great interior feature is the dual 7" DVD screens. They are located in the back of the front-row head restraints. Each screen can play a different movie or video game. This system comes with a remote control and headphones. High-quality materials are used throughout the cabin of the Escalade Platinum. The door uppers, console, and instrument panel are leather-wrapped. The front seats are 18-way power adjustable and come with a massage feature. Speaking of the seats, the first two rows have premium semi-Aniline leather seating surfaces. Passengers in the third row sit on Mulan leather. Headliners in the Platinum trim are suede-wrapped. There is unique exotic wood trim in the cabin as well as premium floor mats. Being a high-end vehicle, even the entry-level Escalade Standard is very well equipped. It runs on the exact same powertrain as the other trims. That being said, it lacks many of the safety and entertainment features that the upper trims offer. Due to the similarities between the different trim levels of the 2019 Cadillac Escalade, it will ultimately come down to which features a particular consumer values. The Premium Luxury trim has almost all of the features that the Platinum one does, but with a significantly lower price tag. This may make it the most attractive and logical choice for buyers. Those in the market for a high-end SUV will enjoy the many features and well-thought-out touches offered by the 2019 Cadillac Escalade Premium Luxury.